Ever since the beta for Halo 5 last Christmas, I have been aching to play some more of its strong multiplayer suite. That anticipation grew with the announcement of the Warzone game mode at E3, a MOBA-lite multiplayer mode that couples traditional Big Team Battle with an in-match leveling system and AI enemies which will attack both Red and Blue factions. It was an interesting sounding evolution on the traditional Halo multiplayer experience, but how did it play? Well thankfully I had the chance to demo the new game mode at the recent Fan Expo event in Toronto, Canada’s closest equivalent to a full-out Comic-con. To preface these impressions, I have to re-iterate, as I have in the past on this site, that I am a Halo fanboy. The original Xbox was my first non-Nintendo console, and Halo: Combat Evolved was the first game I ever played for the system, and it stuck like glue. Yet over the years, I could not help but feel the same feelings being uttered throughout the gaming landscape. 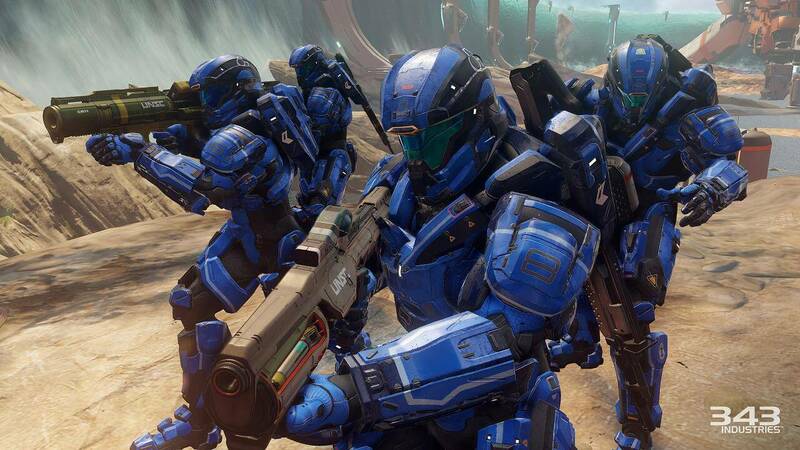 Halo had begun to feel somewhat stale in its multiplayer. I continued to love its narrative, but not since Reach had I truly invested myself in the series’ multiplayer. Some of the steps taken in Halo 4, load-outs and sprint, felt like nice deviations, but something never clicked with its maps and game types. Truthfully, I never even really liked the whole loadout system being applied to Halo. Halo to me was an arena style game, where everyone starts with the same specs, and any special weapons were to be found on the map, not earned through progression. That arena mentality is what kept past Halo games fair and balanced. Halo 5 is bringing back that Arena style gameplay to its core multiplayer experience, and for that I am grateful, but that is what the beta was all about. Warzone is something entirely different. In the intro, I mentioned that it has a somewhat MOBA like character to it. That is due to the game type’s in-match leveling system. Within Warzone, you are constantly earning energy. Energy fills up several levels of meter and when you reach max energy in one level, that energy level unlocks new weapons, vehicles, or other tactical supplies. When you reach those levels, you can choose to purchase an item, or requisition to use the game’s terminology, but that item comes at the cost of its energy level. If you have an energy level of 5, and you purchase a requisition with an energy level of 3, that will knock your energy level back to 2, and thus you must continue to accrue energy to reach those higher leveled goods. 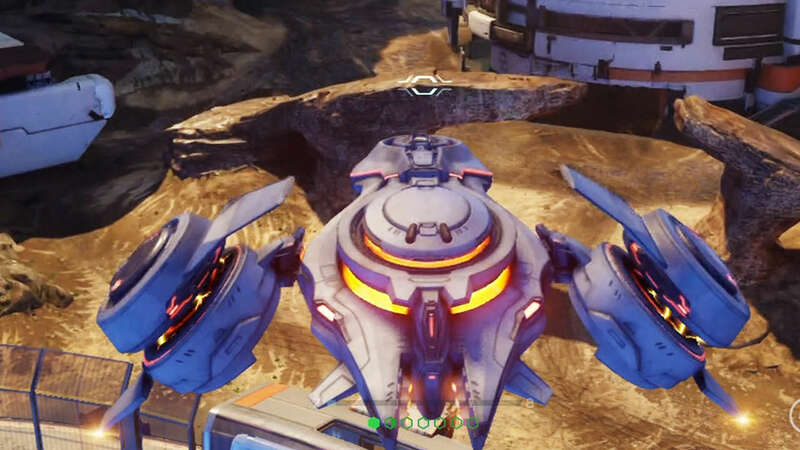 The highest costing items (Spartan lasers, an insanely over-powered hovering tank called a Phaeton) will drop your energy level back to 0, and if you die before you get to use that item, it is lost. The system is fair, however, as the energy level accrues rather generously. Then there is the other big change to the mode, the inclusion of AI bosses within the PvP battle. These are incredibly aggressive and difficult Elite and Promethean characters who become optional targets in the battle and may be challenged by either side simultaneously. 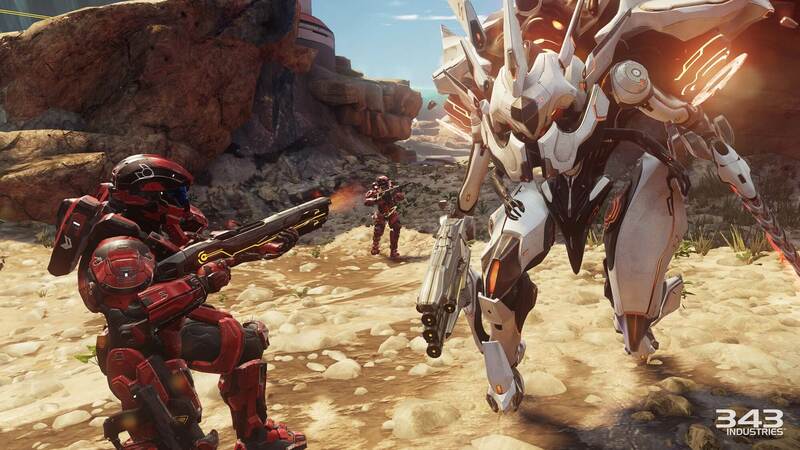 Killing these bosses become an essential get in terms of increasing your chance for victory within Warzone. That is because victory is gained through the accruing of points, rather than kills. Points can be achieved through the killing of enemy players, through the taking over of strategic locations, and most significantly through the killing of these AI bosses. It creates an interesting new dynamic as firefights develop between the human controlled Reds and Blues for the opportunity to kill an AI boss. These bosses do not go down easy either. One of them, an Elite Baron flying around the map in a Banshee is especially hard to defeat. All of these changes do much to add scope to Halo’s traditional systems. 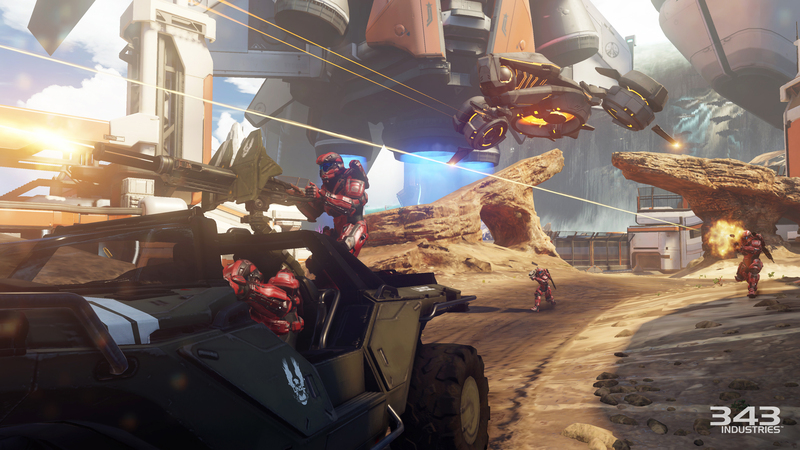 Warzone is as fast and frenetic as Halo multiplayer always has been, and yet there is so much more to do aside from killing the opposite team. The multiple courses toward victory ensures that players of all types can find ways to contribute to a team’s overall score. The leveling, on the other hand, creates an exciting new process by which Halo’s sandbox expands with space-aged weaponry and vehicles. All of this is to say that I loved the experience and it provided just the amount of freshness I have felt the game’s multiplayer has required for the past few years now. It is just one of a litany of reasons that I am re-energized and excited for Halo 5 this fall.